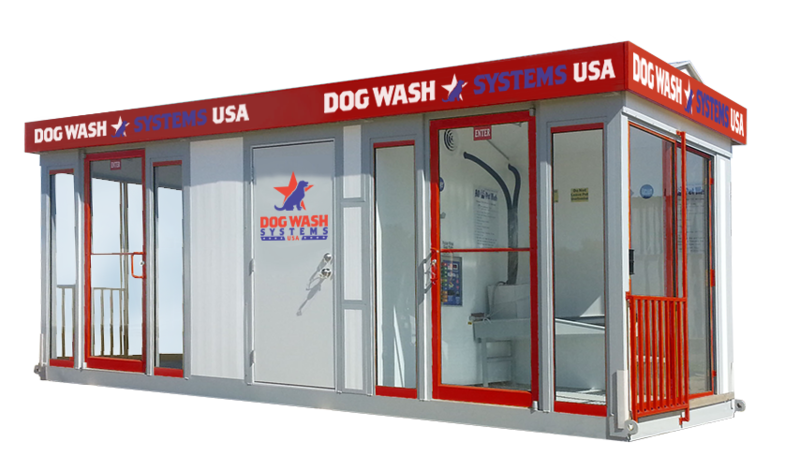 If so, our Single Modular Station (SMS) would be a perfect addition to your business. The SMS (8' x 13') is a modular building which is climate controlled, featuring AC for the hot summer months and a heater for those frigid winter months. The SMS comes complete with a coin and bill acceptor built right in (optional credit card reader available), making it available to customers 24/7 to use at their convenience. 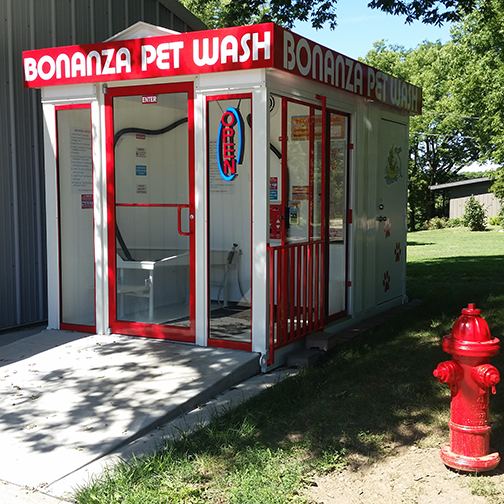 Accessorize with additional features like a token changer or a treat-stocked vending machine to reward pets after a good wash! 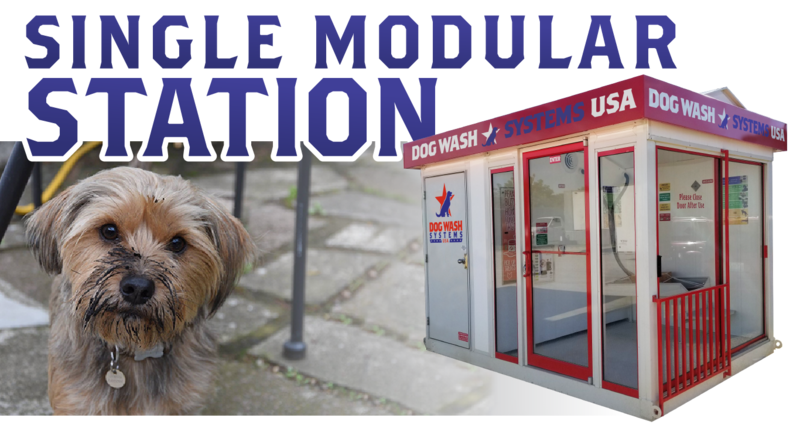 Our Single Modular Station modular buildings come standard with our 10 button operation system. These systems feature top of the line piezo buttons, a Dixmor timer, and are ADA compliant. Systems come standard with coin and bill acceptors and can be fitted with credit card readers for an additional fee. Additional button on our building units is for operation of a vacuum used for sucking away excess water. Every model we offer is completely customizable. The Single Modular Station offers more real-estate than any other model for your brands name and logo. 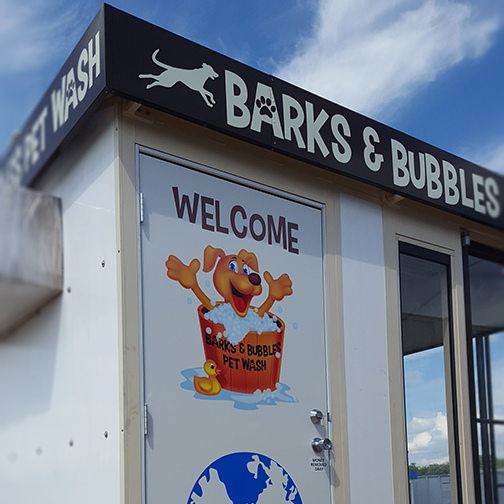 Work closely with our team of designers to make your pet wash uniquely yours. Choose from over 50 powder coating colors to perfectly compliment your brand. Customization is always included in the cost of your unit. 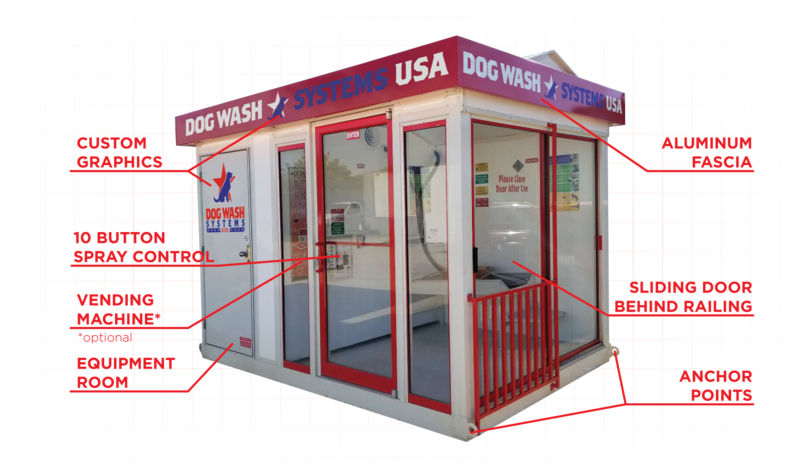 Not only do you have control over the colors and logos on your Single Modular Station, but you also have agency over the layout of your building. Equipment rooms can go on either the left or right. Sliding and hinged doors can swap places. However you wish your building to be laid out, our engineers can make it happen.